Crunchyroll - QUIZ: Which Guardian of Nazarick Would YOU Pathetically Serve? QUIZ: Which Guardian of Nazarick Would YOU Pathetically Serve? Discover which of Ainz's minions would best command your allegiance! 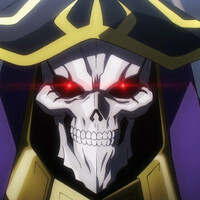 Like any good evil overlord, Ainz Ooal Gown needs his minions, but that doesn't mean they can't have minions of their own! Take the quiz to find out which of them you would be a minion for in the world of Overlord. Skyler has been an anime fan since he first saw Naruto on Toonami in 2005. He loves action shows and strong character writing, and finds writing about himself in the third person awkward. Read more of his work at his blog apieceofanime.com and follow him on Twitter at Videogamep3. QUIZ: What's Your Sumo Style?